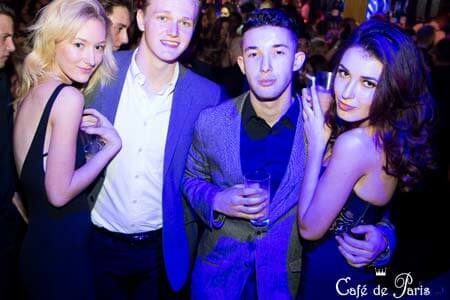 If you were ever in this side of the globe and looking for the top nightclubs in London, chances are you have considered going to Café de Paris. 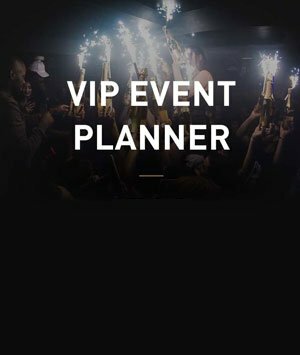 A known haven for the affluent party going crowd, the Cafe de Paris Guestlist reservation list is almost always full, and getting your name in will be hard unless you book with a company such as London Night Guide. 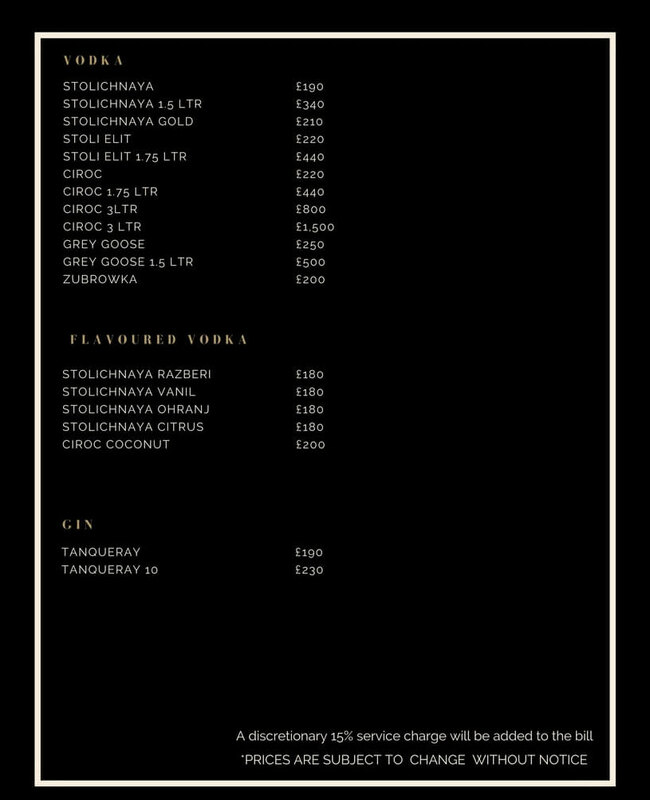 The Drinks and Bottle Prices Menu for Cafe de Paris is here for your reading convenience. 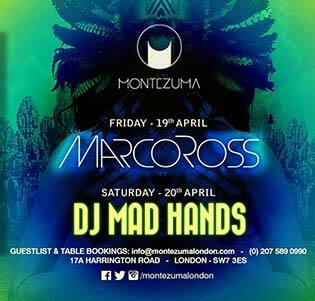 A major part of the clubbing experience Is drinking, and with that, a lot of our guests who took a Café De Paris Table Booking reservation is asking how much are the drinks. 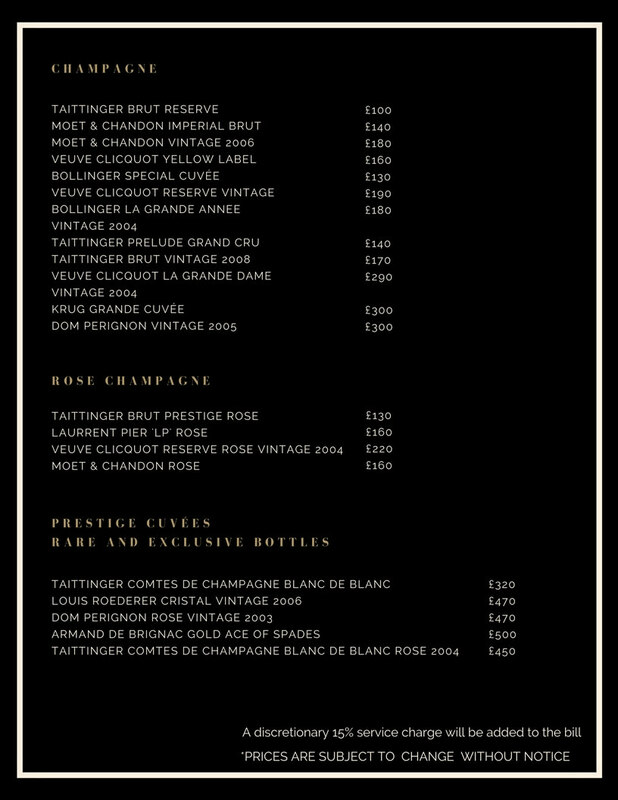 This is the reason we compiled the Cafe De Paris Bottle Price Menu so you don’t have to look any further. What is the Cafe De Paris Bottle Price Menu anyways? 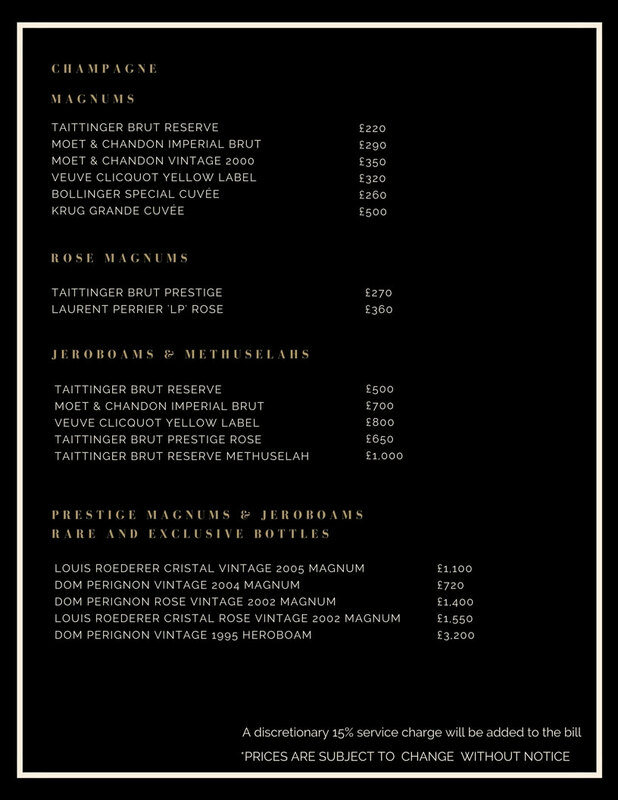 Most of the selections at Cafe De Paris Bottle Price Menu is based on the most exclusive champagne available all throughout the world. The Taittinger Brut Reserve is one of them, priced at an affordable £100 per bottle. This is actually a crowd favorite, and is a great start for a night of fun. A recommended bottle is vintage 2004 La Grande Année by Bollinger. This bottle of champagne is priced modestly at £180, which is very much affordable considering the quality. If you have more expensive tastes, then the Krug Grande Cuvée is more right up your alley, and expect to shell out £300 for a bottle. Following the Café De Paris Dress Code is a requirement when you are expecting a series of fun outings here in this venue. 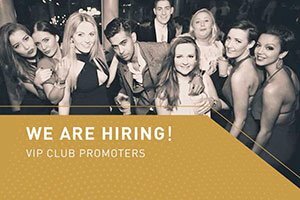 While you are elegantly dressed, a good bottle of the exclusive Dom Pérignon Rosé Vintage of 2003 is a fitting selection for your night out in one of the top clubs in London. This is a crowd favorite on their rare and exclusive bottles, and it is pegged at £470. 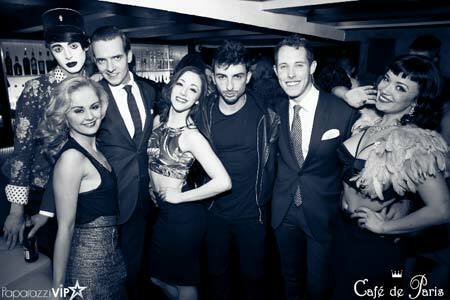 Getting a Café de Paris table booking is easy with the free assistance of London Night Guide. The best and most expensive bottle on their list the 1995 Vintage Dom Perignon, priced at £3200. The Café de Paris Celebrity visitors usually take this bottle, and with good reason – with the price comes great taste. The Russian Stolichnaya is also a good choice in their Vodka line, and it is priced at £190. A 6 Liter Ciroc is also available for grabs at £1500. Stolichnaya flavoured Vodkas are also available at £180, and the Coconut flavoured Vodka from Ciroc is priced at £200. A Tanqueray gin bottle is also available for £190, with the 10 year aged one at £230.